When was it last this hot in Sheffield - and what's the record? The UK is currently basking in a scorching heatwave and the warm weather looks set to continue, with temperatures tipped to reach as high as 35 degrees. The Met Office has issued an official heatwave alert, warning there is an 80 per cent chance of heatwave conditions over the next few days. Most parts of Britain have already enjoyed temperatures in the mid to high 20s this week and the mercury looks set to climb as we head towards July. 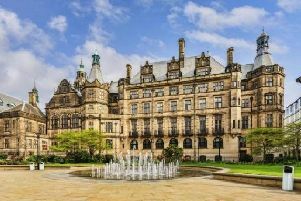 What is the record hottest temperature in Sheffield? In Sheffield the June daytime temperatures generally reach highs of around 16C, with the weather cooling at night to an average of around 10C. The current warm weather is well above average for this time of year, with the thermometer set to reach the mid 20s for the rest of this week. In recent times the highest recorded temperature in June has been 29C, with the lowest temperature recorded at a more chilly 2C, while in July, highs of around 19C are reached on average. During the summer months temperatures as high as 30C can occasionally be attained, with the highest temperature ever recorded a scorching 34.3C. June's highest temperature on record is a scorching 30.7C. Will this be the hottest summer yet? The unusually warm weather has the UK on track for the hottest June in more than 40 years, when the mercury rose to a sweltering 35.6C in the summer of 1976 in Southampton, while July's record stands at 36.7C, which was set in 2015. June's rainfall is also down by half this year, measuring at just three-quarters of an inch, amid 82 hours of sunshine. As for the year-long predictions, bookmakers Coral have made it odds on at 4-5 that 2018 will be the hottest year on record. The hottest year on record for the UK currently is 2014, with a mean temperature of 9.9C, according to Met Office data. What's the weather outlook for this week? In Sheffield, the weather today is a warm 25C and is expected to remain dry and sunny throughout the day, with light winds in the evening, cooling temperatures to 12C overnight. Thursday will see a slight dip in temperature at 24C, with an early mist and low cloud soon clearing to leave another dry day with plenty of sunshine. The rest of the week will remain equally warm and sunny, with temperatures in the low to mid-20s predicted from Friday, with Sunday being the hottest day at 25C. Misty conditions may occasionally drift inland, although this will mainly be overnight. Will the warm weather last? The tropical weather looks set to continue as meteorologists predict the UK could be set for between five and eight more spells of very warm weather over the next few months. Temperatures are expected to hit at least 24C during each heatwave, and could climb as high as 31C in July and August. Across the board, maximum temperatures should be at least five degrees above average.